For the last 11 years the villagers of Yasouf were denied entry to their land next to the road by Za’tara checkpoint. This land used to provide the village with much of what was needed in terms of vegetables. Over the last week they have successfully worked some of this land, but not without harassment. On Wednesday, when the villagers first attempted to plant corn in their fields, inhabitants of the nearby Israeli settlement, Tappuah, disrupted this attempt and drove the residents of Yasouf away. Later, in the night, settlers also uprooted 12 trees on the other side of the village, belonging to a farmer who has been targeted violently three times in recent years. The villagers returned on Sunday more determined to work their land and, again, were confronted with a crowd of approximately 50 settlers. The village elders managed to negotiate the right to remain on this land with the Israeli military. The group of Israeli settlers, not content with disrupting much of a day’s work, went on to burn a tree and destroy wheat fields on the opposite side of the village. The villagers of Yasouf expressed cautious optimism about being able to plough their land near Za’tara checkpoint, despite having to deal with crop destruction and confrontations. The work is by no means complete; only a small part of their farmland was actually ploughed and only time will tell if the harvest makes it back to the village successfully. 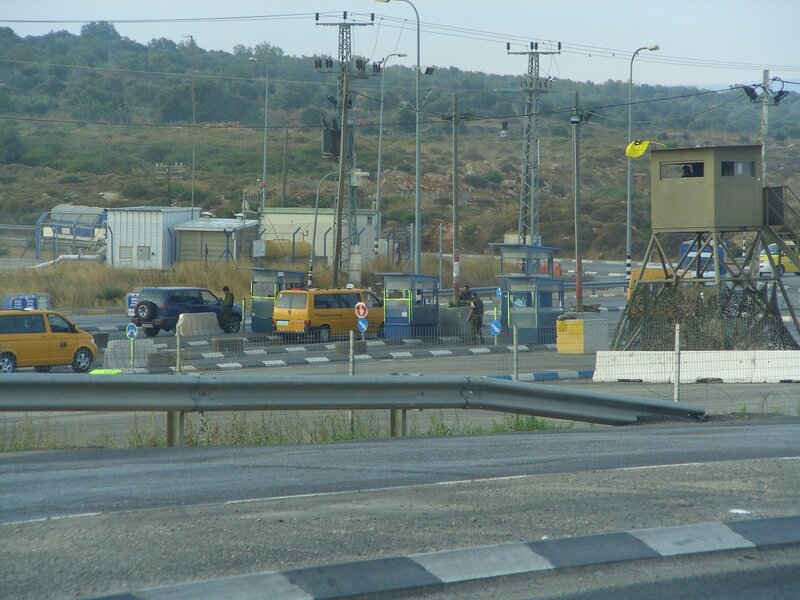 Za’tara checkpoint is a crossroads for two extremely segregated people, divided by an apartheid system. We were told by members of the village council that Palestinians are often insulted and randomly beaten whilst they go about their lives here.